I have the Visual Style Shaders and love using them. I just saw the Manga Shaders were out. Is this image of the monster (in Midnight_Stories' original post) just a straight render using one of the Manga Shader presets or is it something custom made. I've been looking for something like this to give me a black and white shadow/light breakdown on 3D models. Is this effect only found in the Manga Shaders--or is the noir presets in Visual Style Shaders the same? PS. Will this work in Studio 4 or do I have to have 4.5? In all honesty, I think in the case of Midnight-Stories render he might have been using either some custom settings, or perhaps some incorrect render settings, as none of the included presets are stark black and white. It is definitely possible to produce this effect using Manga Style (amongst many other effects exclusive to Manga Style, including sketches, golden age, pop art, etc), but if you're only intent is to produce noir renders than you might be better off buying Visual Style and using the noir presets included with that. Although Visual Style is a bit more difficult to use if you're using textures (you have to apply them manually), Noir comics are rarely detailed enough to warrant the use of textures, so you might find it easier to use the Visual Style presets intended for this effect as opposed to buying Manga Style and attempting to manually emulate it. Also, the presets in Visual Style were created with the intention of looking good even without textures, as most anime characters don't come with them. If you decide to buy Visual Style, they will work in Studio 4 and upwards, as they were created in Studio 4 using the classic file system. If you decide to buy Manga Style, you will have to upgrade to Studio 4.5, as they were created in Studio 4.5 using the new .duf file system (obviously they're not DSON compatible, as you can't use Studio shaders in Poser). I think you missed it in my post, but I already have your Visual Style Shaders (bought them the minute they came out). I'll crack open Studio and start playing with the noir presets in that shader set. Thanks for the information and keep up the good work. Finally getting the hang of both Visual and Manga Shaders, really enjoy using both. The shell geometry shader in the manga set is worth its weight in gold as far as I'm concern, getting some decent lines. I do need help in looking for photoshop brushes that can do speed lines and radial lines. Much appreciated. A fun fact, the use of inversed objects to produce outlines is a classic technique that has been used in numerous videogames, including "Sheepdog n' Wolf" (PC version only - http://tegry.pl/Solucja/38/Sheep_Dog_N_Wolf ) and "Jet Set Radio". I'm sorry if I missed it but I can't seem to find the Visual Style Step-by-Step guide. I have looked at every page in this thread but have not spotted it. Would it be possible to point me to the link, please? If one does not exist (despite the title of this thread), could someone perhaps hint at how to apply the shaders to things for which there are no presets? Eyes, teeth, clothing, etc.? Lastly, is there no way of seeing the effects without having to render first? The viewport image looks nothing like the rendered result. Unfortunately there isn't a step by step guide for visual style yet. I'm still very busy with my university work, and haven't had the chance to write a guide yet. I'm very sorry for this, hopefully I will have some free time soon. Also, there is no way to view what the shader looks like without rendering. This applies to all shaders. Not to worry ... I seem to be figuring it out. Fun to experiment, isn't it? Thanks for the reply and good luck with your studies. Yes they do PWtoon and Visual stylecertainly do, sorry don't have the manga but I would presume that they do also. Check that you have the latest DS4.5 and the latest version of the shaders. I'm using Daz Studio 4.5.1.56 (which is the latest version as far as I know) and both Visual Style and Manga Style work perfectly fine. Visual Style was created in Daz Studio 4, which 4.5 is fully capable of using thanks to legacy support. 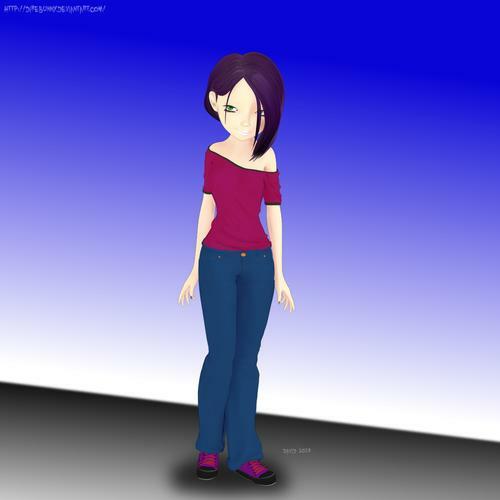 Manga Style was created in Daz Studio 4.5, so there's no reason why it shouldn't work in 4.5. Exactly how are they "not working"? Can you apply them? Do they not appear correctly in renders? I see this is your first post. How experienced are you with shaders? Do you know that you have to render an image to see how it looks with the shader? That the way it looks in Daz Studio is different from the rendered picture? My primary use of "Visual Style Shaders" is the noir (which I love on other models). With that said I personally loath anime and am not going for that look. But with V4 for example I am struggling with getting an eyelash that doesnt look like a glob of ink or eyebrows that show up at all. 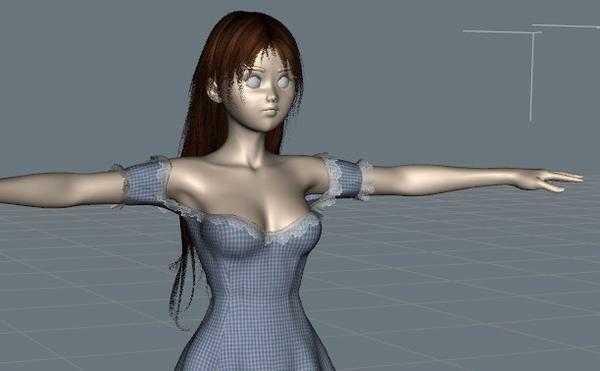 I have looked over the tutorial a few times but must admit my own eyes begin to glaze over when it gets in detail lol. Hair - also globs of ink, no transparency. Eyebrows- They always vanish completely. Unfortunately with the Visual Style shaders, you have to manually reapply the transparency textures (aka Opacity Maps). This will solve the issue of Eyelashes and Hair. Unfortunately at the time Visual Style was made, Daz Studio 4 didn't support shaders like mine retaining textures when applied. I'm not sure what problem you're having with the lips. Have you tried using one of the red Noir presets on the lips instead? Noir is typically plack and white, so it only makes sense that the lips would be either pitch black or pale white, but you can use the Sin City inspired coloured presets to add some extra colour into it. As for eyebrows, eyebrows are usually painted onto the face texture. As noir is meant to be a simple style, you wouldn't want to use a face texture with it. Instead, I highly recommend buying either Hitomi, Hiro5, or "Genesis Eyebrows". Hitomi and Hiro5 both come with conforming toon eyebrows that can be shaped and positioned using morphs. They also both come with a "thin" texture that gives them a softer, more realistic appearence. Genesis Eyebrows on the other hand is a flat plane that conforms to the eyebrows, relying on a variety of different textures to give you differently shaped eyebrows instead. All of the textures in Genesis Eyebrows are realistic (no toony ones), but they still work well. By "tutorial", do you mean the Documentation/Reference Guide? Because so far the only tutorial i've written is for Manga Style, and if you've been using that then no wonder you've found it confusing, it's for a different shader altogether. ^^"
Wow I appreciate the rapid response! For eyelashes and hair, will there be an update to allow them to retain the transparency at some point? I have found some cheating methods with the eyebrows such as using "animeeyes" set. Yes I meant the document. My eyes immediately glaze over trying to understand it lol. Now the eyes, I mentioned finally figuring them out but I am still having issues... they appear very dead (if that makes sense) when using noir. 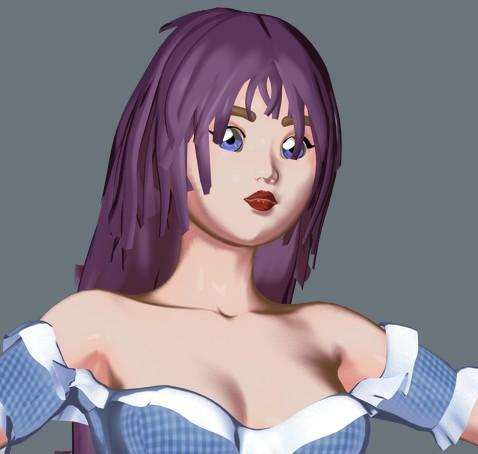 I think that is the one area a more anime look would be preferred, however that goes back to visual style not keeping textures or at least not appearing to. Can I apply the noir shader and keep the original textures on the model? I use the Visual Shaders all the time. For eyes, (the sclera, that is) I use one of the blue shaders (the ones that don't look like the color they are supposed to be) in the menu. I then apply a lighter shader in the appropriate color family to the pupil and then load only the pupil original texture back in. The contrast sets off the pupils nicely and the eyes have a bit more "life" to them with the pupil using the original texture. I'd love to see a detailed tutorial on saving Visual Style presets. The only mention in the manual is how to save presets for distribution. To save a shader preset, all you need to do is select a surface, then go to File - Save As - Shader Preset. Thanks--as you can tell I don't do much playing with shaders (yours got me into it). Is there a way to control the opacity of a texture that you add back over the visual shaders? Sometimes I feel the texture is too strong and masks the shader effect I like, and I'd like to play with the opacity of the re-applied texture until I like the results. Not really i'm afraid. I don't think i've seen any shader that allowed you to blend between a texture and a flat colour, or at least not in the way that would be useful to you. Might I recommend trying out the Layered Image Editor within Daz Studio? You might need to search the Documentation Centre (under the Help tab at the top of the Daz website) for the basics on how to use it, but you could use it to add a flat colour as a new layer, and then turn down the strength so some of the texture shows through. Or you could edit the texture in an image editor like Gimp or Photoshop. First thanks for some brilliant shaders. Next, it would be great if there was a way I could get the official guides and step by step guide. It seems from comments, they will save me a lot of time by reducing trial and error. I have kept clicking the dropbox links at the beginning of this thread, but it takes ages from where I am. Don't know the problem - I have a 2 mbps download speed and it should be sufficient. Again, either getting the guides would be a help, or if you could provide them with the installation itself or from Daz. I have bought the Visual shaders, toon hair shaders and the manga shaders, and they look beautiful, but again, a way to get the guides would be helpful. The drop box links are taking ages, or just hanging. The links are probably hanging due to the fact that they're PDFs, and most browsers (like Firefox) will attempt to open the PDF within the browser itself rather than downloading them. Try right clicking the link and selecting "save as". Thank you, I was able to save the documents. I Finally had a chance to play with the visual style sharers (well i did a small test when i first got them but haven't played with them since then). I've had them for a while but was more focused on the manga ones. Just a slight bit of postwork using sai but not much. Great picture Dire Bunny! That's the new 3DU character right? Very good picture, Dire Bunny! Well done.